Hannah showing off her artwork last September 2012 at a Friends of Kids with Cancer event. Hannah loved creating artwork! It was her favorite thing to do! 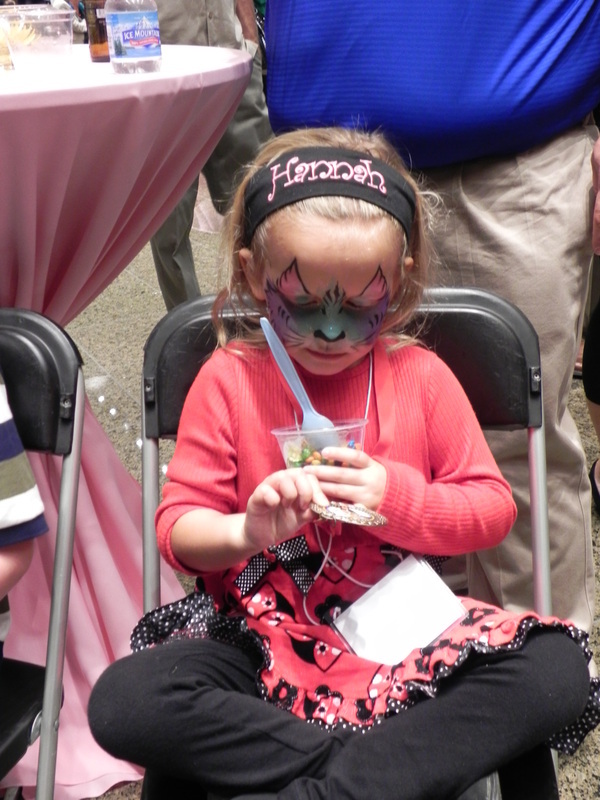 In September 2012, Hannah was able to attend the Art From the Heart event through Friends of Kids with Cancer. Hannah loved to create artwork and she found it therapeutic when receiving treatments at Cardinal Glennon. 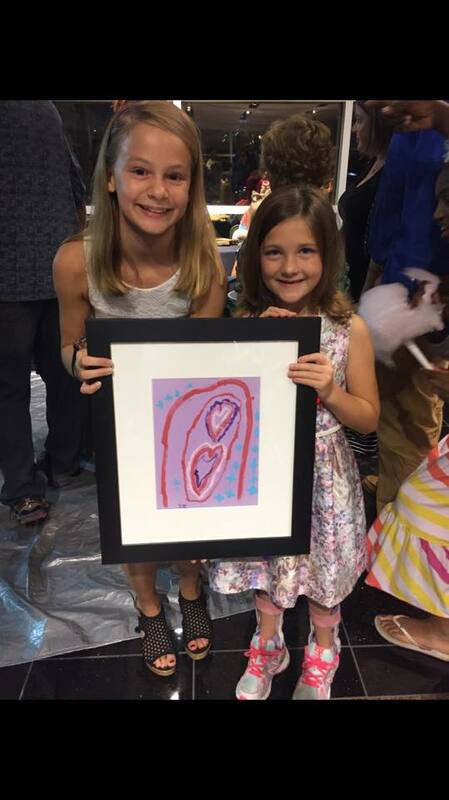 Due to artwork being so important to Hannah, the Hope 4 Hannah Foundation felt the need to give other kids the opportunity to create artwork while receiving treatments by supporting the Friends of Kids with Cancer art program. In September of 2013, the Hope 4 Hannah Foundation was able to purchase many art supplies and donate $250 to the art therapist of Friends of Kids with cancer to use at the hospital. 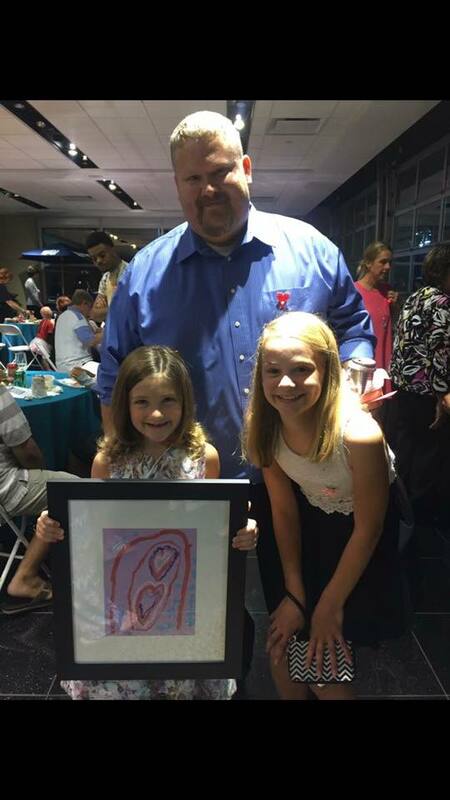 In September of 2014, our foundation was able to attend Art from the Heart and purchase the artwork of a local cancer patient. Through this event, we were able to donate $250 to the Friends of Kids with Cancer organization. Again, in September of 2016, we were able to attend the event. This year we were able to donate $300 to the Friends of Kids of Cancer organization. We were able to purchase the artwork of a local patient and donate it back to the family.